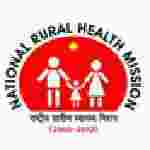 Assam NRHM Medical Officer recruitment 2016-17 notification apply for 59 posts : National Rural Health mission (NRHM) welcomes application for the position of 59 Medical officer (Ayurvedic) vacancies. Candidates who completed their BAMS is a good opportunity.The individuals who are the occupation seekers searching for govt employments in Assam this is the best chance to apply. Competitors read the official notification then read all the guidelines and miners precisely then apply before the last date online application got. All the interested and eligible candidates can appear walk – in – interview on 3rd August 2016. Candidates Age Limit: The age of the candidate should not be less than 18 years and should not be more than 50 years. Academic Qualification Details: Candidates should have BAMS degree from a recognized university / ayurvedic college and registered with state council of India medicine, Assam. Process of selection for the job: The selection of the candidates will be on the basis of walk – in – interview that will be held at conference hall of NHM mission directorate, salkia commercial complex, christianbasti Guwahati on 3rd August 2016 at 01.oo a.m. to 02.00 p.m. Process of applying for the job: Candidates may appear walk – in – interview along with recent original and attested photocopies of certificates at the time of interview that will be held at conference hall of NHM mission directorate, salkia commercial complex, christianbasti Guwahati on 3rd August 2016 at 01.oo a.m. to 02.00 p.m. Important Dates: Date of interview is 3rd August 2016.